everything LEB: what kind of bar are you? what kind of bar are you? Since my last post I could not stop thinking about how fun it would be to have my very own built-in wet bar. I put together these 5 different bar accessory boards just to get more of idea on what style I liked. Honestly though, I love them all, I cant pick a favorite. Ok maybe the Fun Flair one might be my favorite. But only because it has orange in it. What kind of bar gal are you? 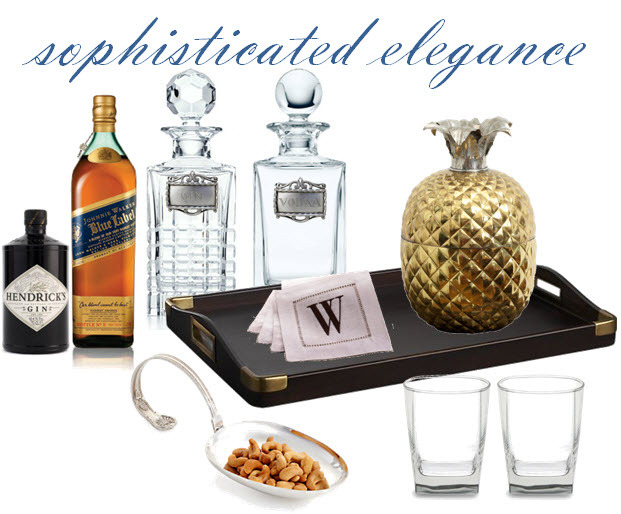 I'm Sophisticated Elegance, if only for that fabulous pineapple ice bucket!! I like all of them! LOL. Cute cute. such great round-ups! 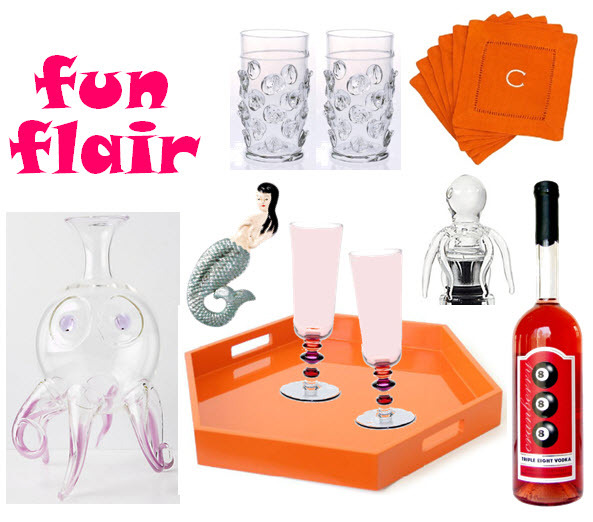 I LOVE that pineapple ice bucket but love the colors from fun flair! A mix between fun flair and sophisticated elegance! I love these different options - but i think the modern minimalist speaks to me the most! You are right on the money! Sophisticated elegance for sure. Love that pineapple ice bucket. Duh! 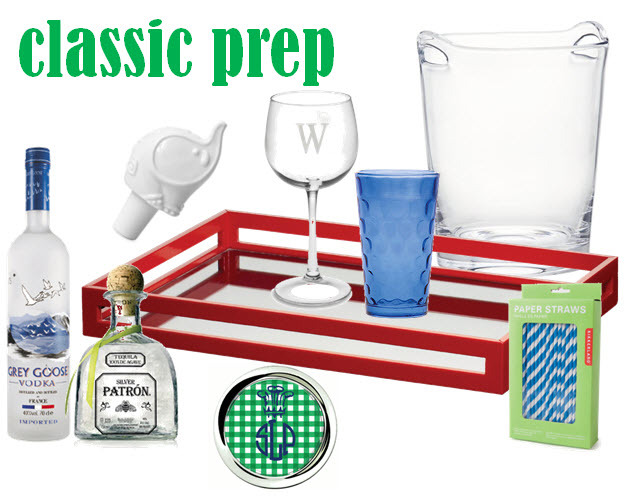 Ohh I'm a combo of Classic prep and Modern minimalist! 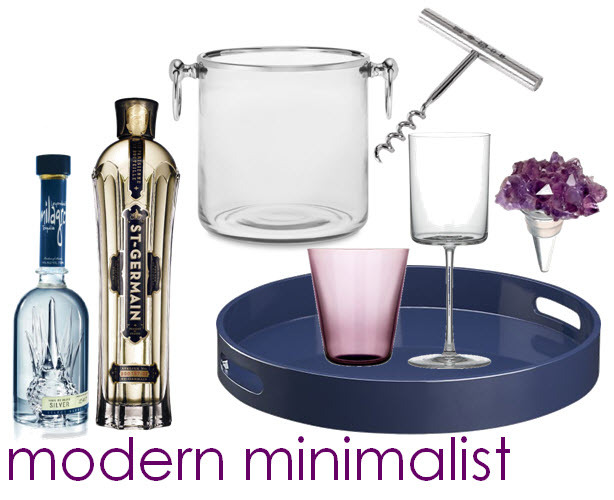 I'd have to go with Modern Minimalist all the way-- love that one you put together! definitely a mix of all these! A mix and match! Love the massive pineapple! I like sophisticated elegance! Good luck on our challenge tomorrow! Love the sophisticated elegance!And all of them are great! Love this... 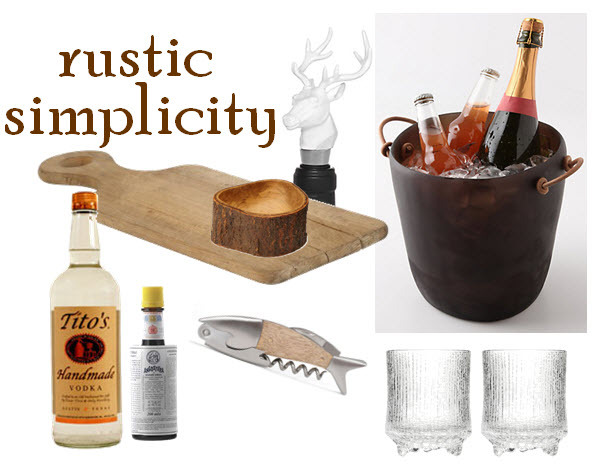 I think I'm a mix of the rustic and the sophisticated!